Will European Parliament truly stand up for all people persecuted worldwide? On 6 December, the European Parliament Foreign Affairs Committee will vote an important report for people who are mistreated, discriminated or persecuted for their beliefs worldwide, writes Giulio Ercolessi. At stake here is whether the EU will step up for everyone whose human rights are violated worldwide, including non-believers. Giulio Ercolessi is the president of the European Humanist Federation. It all started in 2016 after strong lobbying by the Catholic Church urging the EU to take a stand against the persecution of Christian minorities in the world. The response was the creation of the position of EU Special Envoy on the promotion of freedom of religion or belief outside the EU. 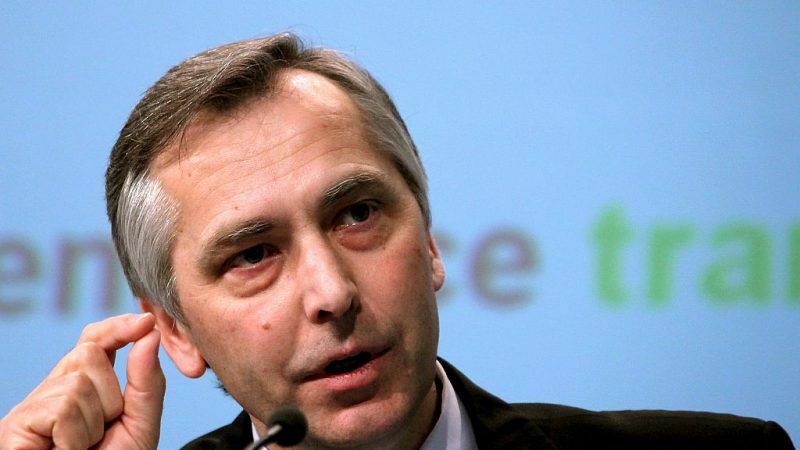 Ján Figeľ, the first such Envoy, former Commissioner, Slovak politician and convinced Christian, was appointed by Jean-Claude Juncker at a special ceremony in the Vatican, in presence of Pope Francis. The tone was set. Two years on, there has been no reporting or evaluation of the work of the Special Envoy. The priorities of the mandate have never been clearly defined despite several requests by MEPs. Tireless efforts of non-confessional organisations to raise awareness about the reality of humanists, atheists and freethinkers persecuted for their beliefs worldwide resulted in more attention being paid to the matter by the Special Envoy, at least in words. However, at the political level and especially within the European People’s Party, the understanding that the EU cannot only focus on the protection of Christians but has to stand up for the protection of all people discriminated for their beliefs, whether religious or not, is still far from being secured. This lack of recognition was confirmed during a meeting held on 5 November by Polish EPP (Christian-democrat) MEP Andrzej Grzyb, the rapporteur of a report asking for the strengthening of the Special Envoy’s mandate. In an offensive and particularly rude speech, one member of the EPP Working Group for Interreligious Dialogue requested that the mandate be limited to the protection of Christian minorities only, insisting on the need to raise Christian values as European ones. He even questioned the usefulness of discussing these issues with non-believers – “those people who believe in nothing”. Across Europe and worldwide, humanist, rationalist, atheist, laïque organisations work on the field and with decision-makers to build a better society and make sure that everyone is allowed to believe or not. They work with their Home Offices, pleading the cause of atheists, humanists and freethinkers at risk in Saudi Arabia, Bangladesh, Pakistan, Mauritania or Sudan. They work with migrants and asylum-seekers in Europe, ensuring they are sheltered, fed and treated with dignity. They work in school with pupils and children, giving them the tools to become responsible and critical-thinking adults. They campaign for non-discrimination and equality, trying to advance women’s and LGBTI’s rights. They offer humanist counselling for people in hospitals and prisons and provide humanist ceremonies for people’s major life steps. Drafted and endorsed by the EPP group, the Grzyb report, in its original form, excluded all issues related to non-believers and completely ignored the work of non-confessional organisations. It praised the role of churches, religious communities and faith-based organisations in a wide range of areas (peace building, fighting radicalisation and humanitarian work) and invited them to collaborate further with EU institutions. Now, after fierce discussions, compromises seem to have been found to take into account the persecution of both believers and non-believers and recognize the work performed by humanist organisations worldwide. However, issues do not stop here. First, given prior experience, one can rightfully have doubts that intentions will be followed by deeds. For instance, one would expect the same energy in standing up for Bangladeshi humanist bloggers stabbed to death by Islamist groups or jailed for “blasphemy offence” by their own government since 2015 as for helping Asia Bibi (a Pakistani Christian woman sentenced to death for ‘Blasphemy’ and threatened by Islamists) and her relatives to find asylum in Europe. The latter case was – and we praise that – championed by MEPs Antonio Tajani and Peter van Dalen, the co-chair of the European Parliament Intergroup on Freedom of Religion or Belief. Second, the report currently discussed in the EP Foreign Affairs Committee foresees an institutionalization of the EU Special Envoy into a Special Representative for Freedom of Religion or Belief serving a multi-year mandate. A Special Representative, who in the mind of the drafters, would have solely spoken up for Christian minorities. Even if now it seems that other beliefs or non-beliefs will also be included – the compromises still have to be confirmed by the vote on 6 December – many rightfully question why there should be a Special Representative dedicated to this specific human right and not to other ones. Especially, the mandate of the representative, if this position is to be institutionalised, must in our opinion explicitly include discriminations based on any possible cause for individual non-conformity with religious groups’ pressure and pretensions, including sexual orientation and gender. And what will be the relation between this person and the existing EU Special Representative for Human Rights? At the European Humanist Federation, we stand for the protection of all human rights. While it will potentially contribute to effectively help certain persecuted people, appointing a Special Representative focusing on only one human right seems to have a lot to do with the intention to voice a political affirmation on the roots of Europe. Beyond debating the missions of a Special Representative, what is capital is that people persecuted throughout the world for their beliefs, their life stances or their differences systematically find in EU officials a reliable source of effective support, both in words and deeds, whether they are Christian or not. With the European elections approaching, more than ever, the European Humanist Federation will keep drawing the attention on the imperative need for EU institutions to be fully neutral when it comes to their relationships with confessional and non-confessional preoccupations.